Inspired by Julie & Julia, I've embarked on a project to celebrate the Cuban kitchen - the food, the abuelas who prepared it, and the family that gathered around the table to enjoy every bite. I'm cooking my way through Nitza Villapol's Cocina al Minuto. With each recipe, I hope to inspire you to bring the joy (and sofrito smell) back into your home. A banana is a Platano Johnson in Cuban. Why? No se. That's just what the long yellow banana is called. We never had banana bread in our house growing up and the only person I ever knew of as a banana bread baker was Rosana, my best friend's mom. I just chalked that up to her growing up in Miami, not because she was Cuban. She used to gift her banana bread -- it was that good. And when Diana had her own place, I'd see the rotten bananas in her fridge, just like at her mom's house, and I knew she'd have some banana bread to share in the near future. I had bananas that were rotten (read: perfect for this recipe) and had placed them in the fridge to stop the ripening process a few days before making this recipe. They were perfect, mashable and so sweet. Que rico. While reading through Recipe #542: Pan de Platano, I didn't realize that Nitza asks you to fold the dry ingredients plus the wet ingredients into the butter, sugar and eggs. I beat the ingredients, and as Nathan from La Cocina de Nathan warned, the consistency of the banana bread was a bit denser than if I would have folded the ingredients together. But the taste was just right. And such an easy recipe to for those rotten bananas that always seem to be in my house -- and yours. I think I know what to make for Rosana for Christmas. 2. Peel the bananas and discard skin. 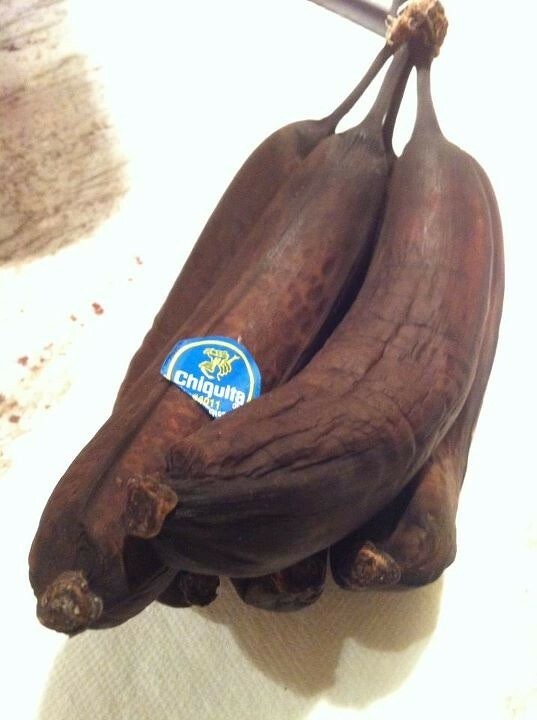 Mash bananas. 3. 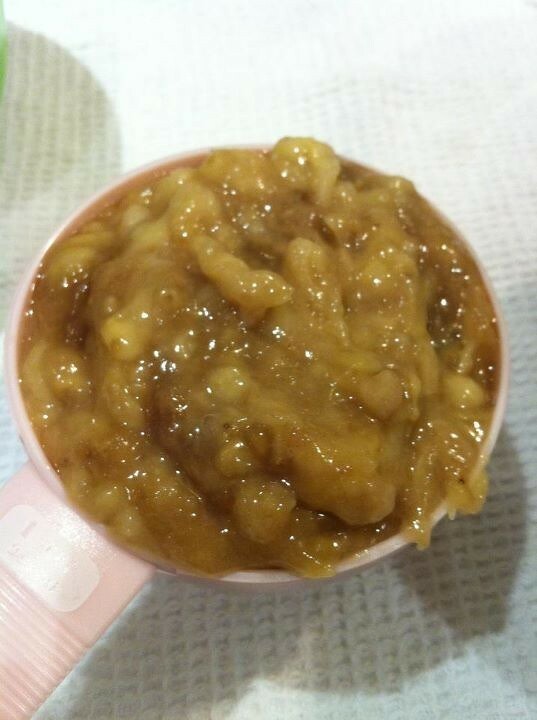 Add the lime juice to the mashed bananas to prevent them from turning brown. 4. 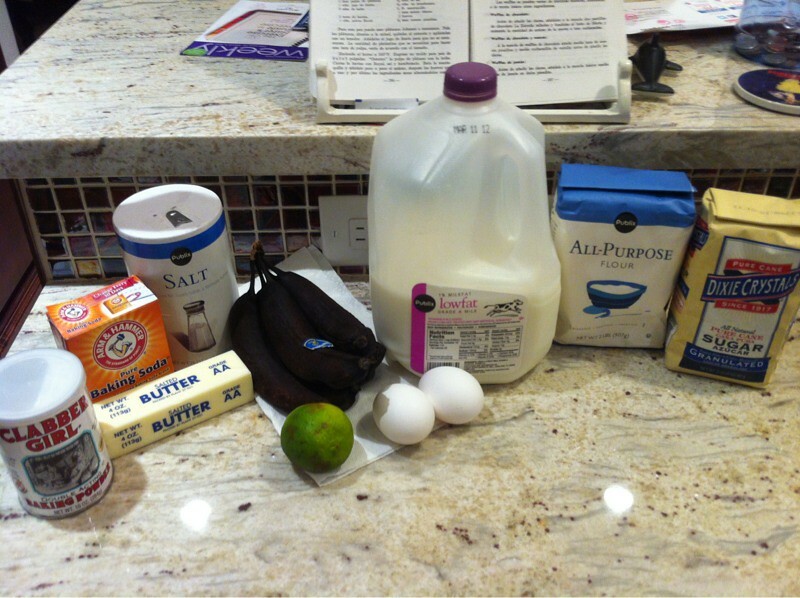 In a blender or with a hand mixer, mix the mashed bananas with lime juice and the milk. 5. 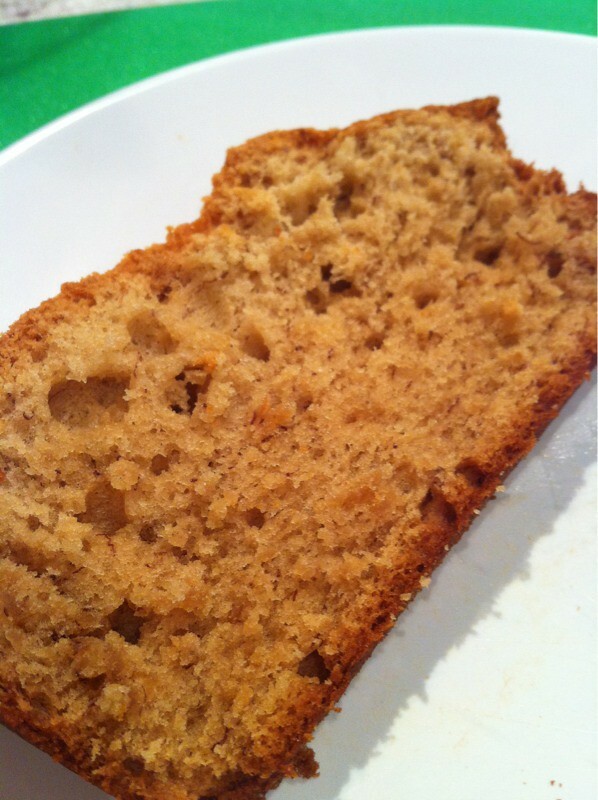 Sift the dry ingredients - flour, double acting baking powder, salt, baking soda. 6. 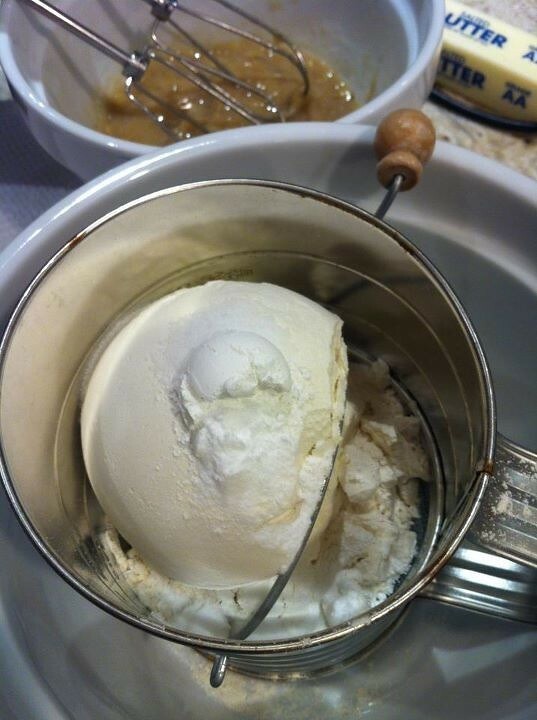 Using the hand mixer, beat the butter. 7. 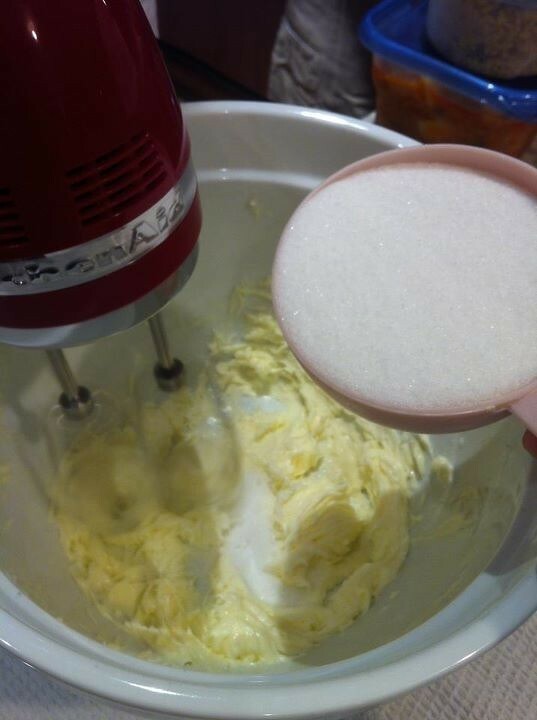 Add the sugar to the butter, a little at a time. 8. 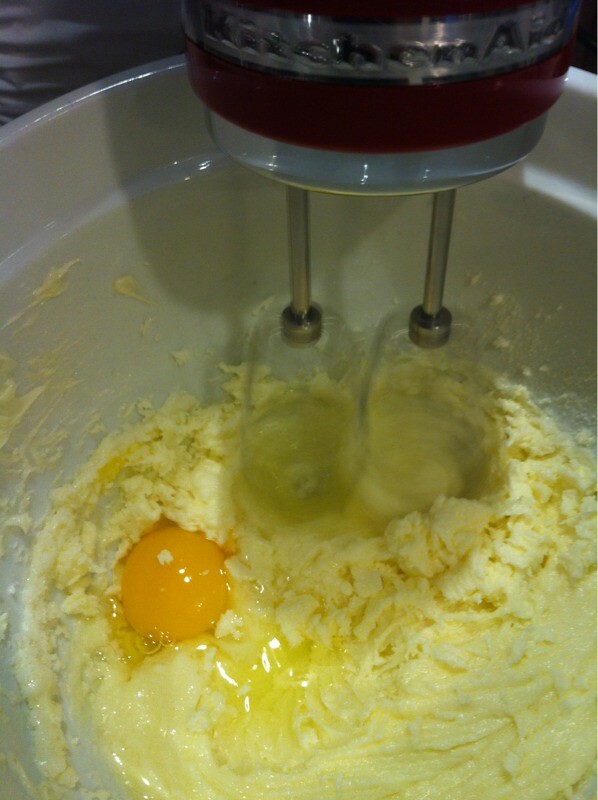 Add the eggs to the butter, one at a time, mixing well after each one. 9. Alternate folding in the dry ingredients and the banana wet ingredients to the butter mixture. 10. Optional: add the nuts, dusted with a teaspoon of flour, to the batter. 11. 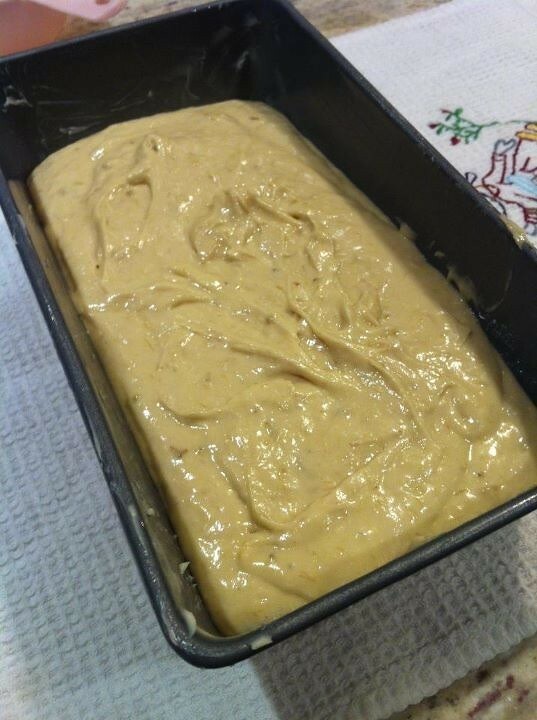 Fill a greased 9x5x3 loaf pan with the batter. 12. 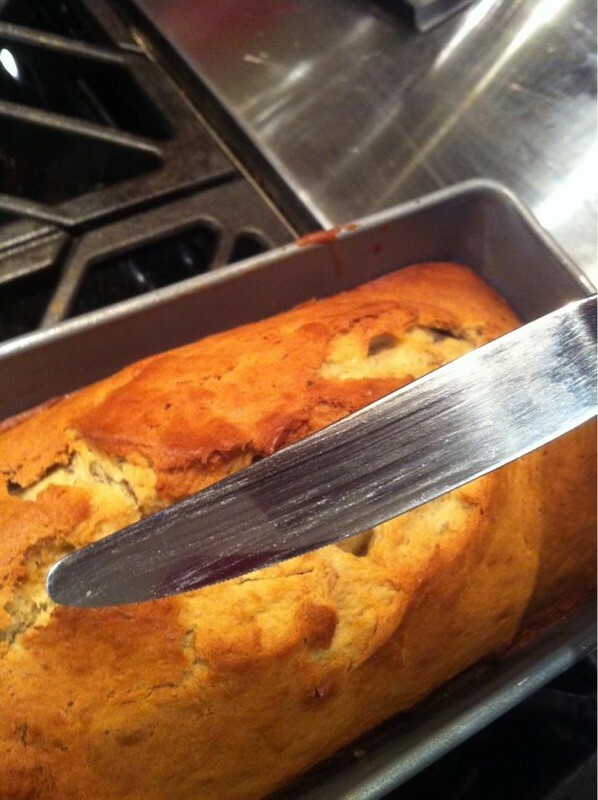 Bake for one hour - an hour and ten minutes, or until a knife comes out clean. When you hear fried chicken, you think of the Colonel. When you smell this pollo frito, you think of Abuela. How one recipe can make your house turn into instant Cuban is still amazing to me. And what can be more amazing? That little salsita left behind once the chicken and onions are pulled out of the pot. Yes, pour it over the killer rice. 1. 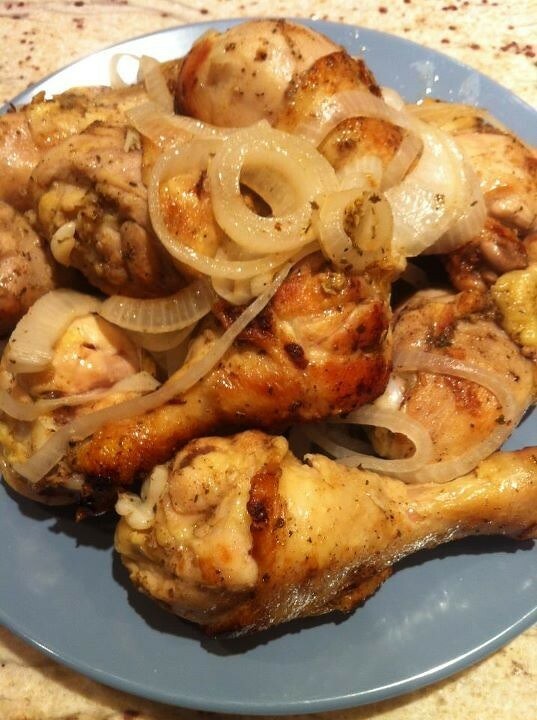 Clean chicken and cut into pieces. You may also purchase pre-cut chicken pieces. 2. 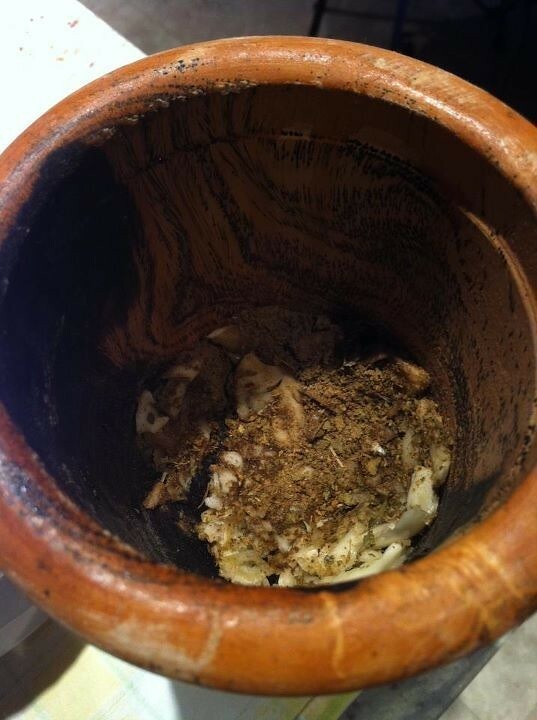 In a mortar, use a pestle to mash the garlic with the oregano and cumin. 4. Add the juice from the sour orange and mix well. 5. 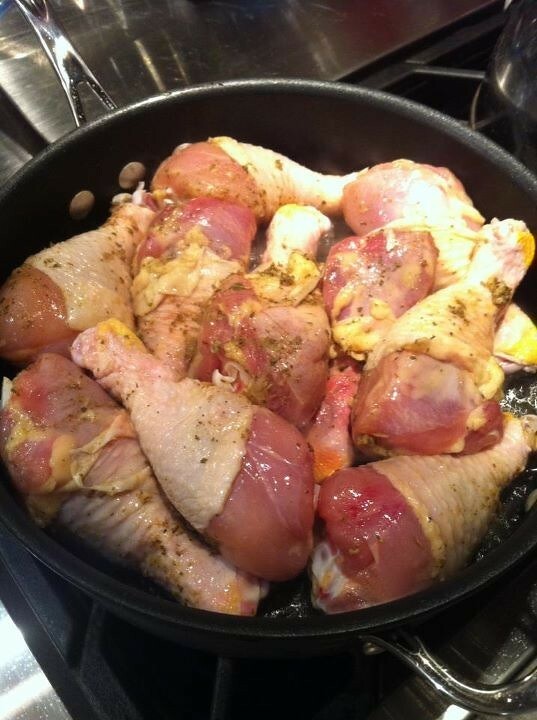 Pour the garlic mix over the chicken, making sure to cover as much of the chicken as possible. 6. 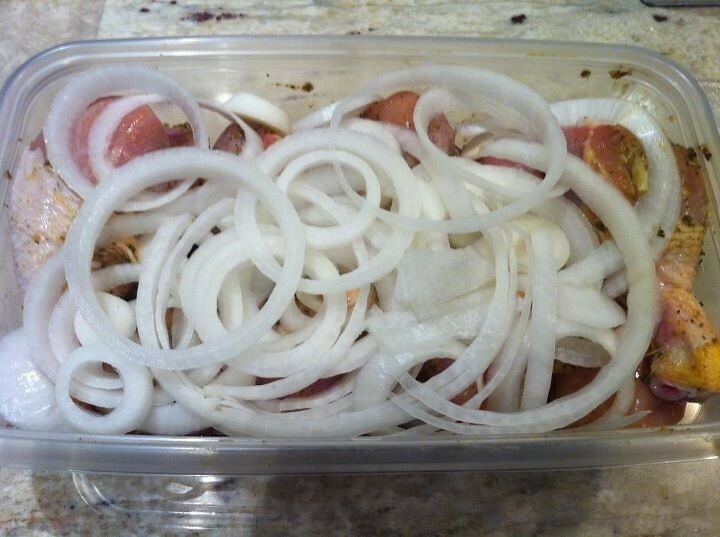 Slice the onion into rounds and place them over the chicken. 7. 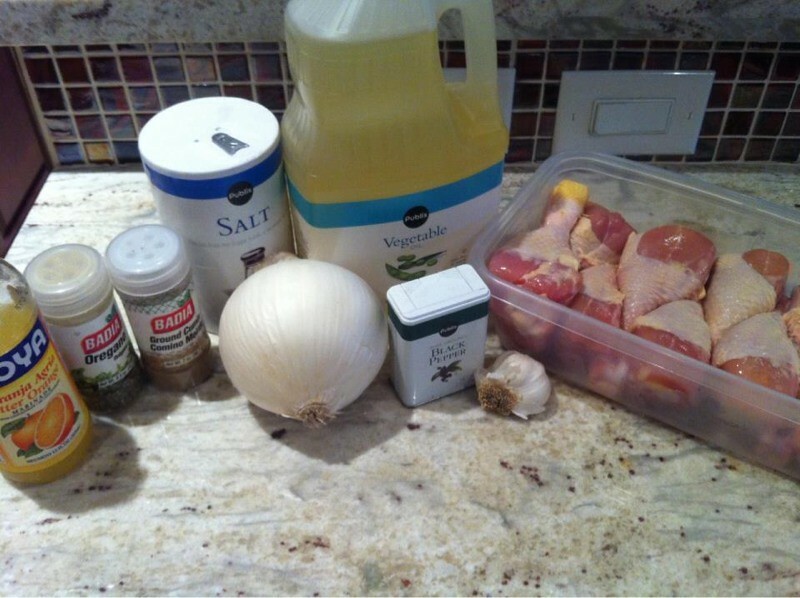 Cover the chicken and marinate for a few hours, or overnight, in the refrigerator. 8. Heat the oil in a large pan. 9. Fry the chicken in the oil until golden. 10. 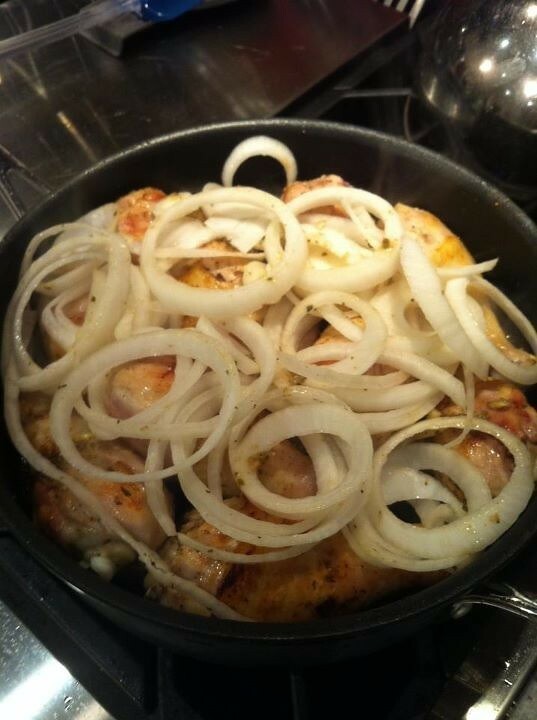 Pour the onion and remaining marinade over the chicken. 11. Lower heat and cover. Cook for 30 minutes. 1. Take a glass baking dish and line with wax paper. 2. 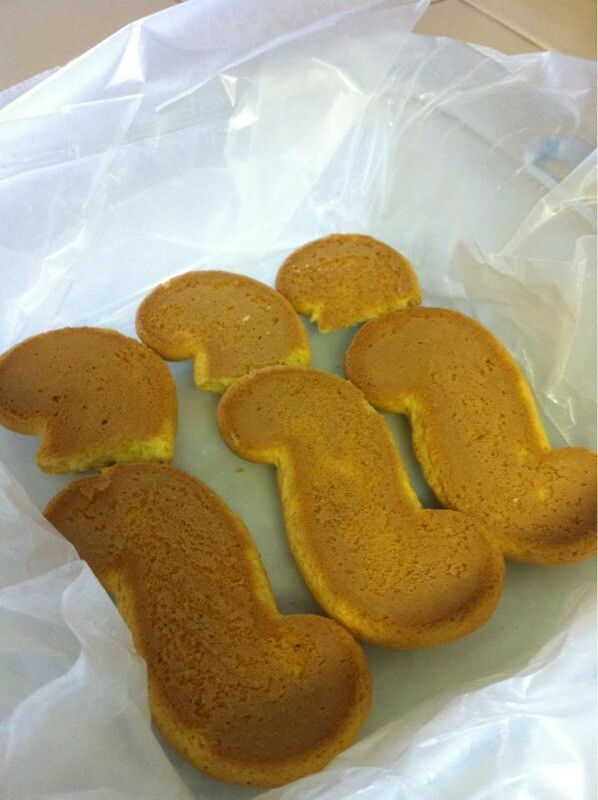 Place a layer of cookies, top side down, along the bottom of the dish. 3. 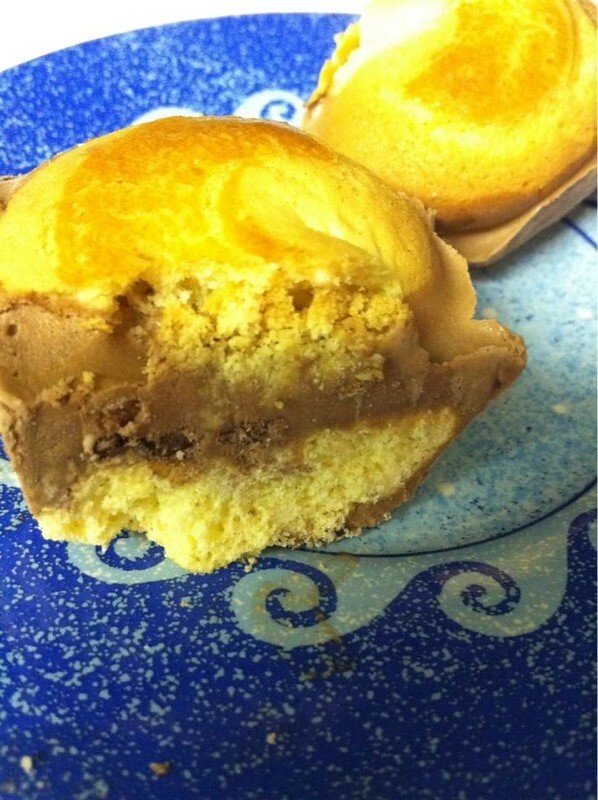 Cover the cookies with ice cream that has softened. 4. 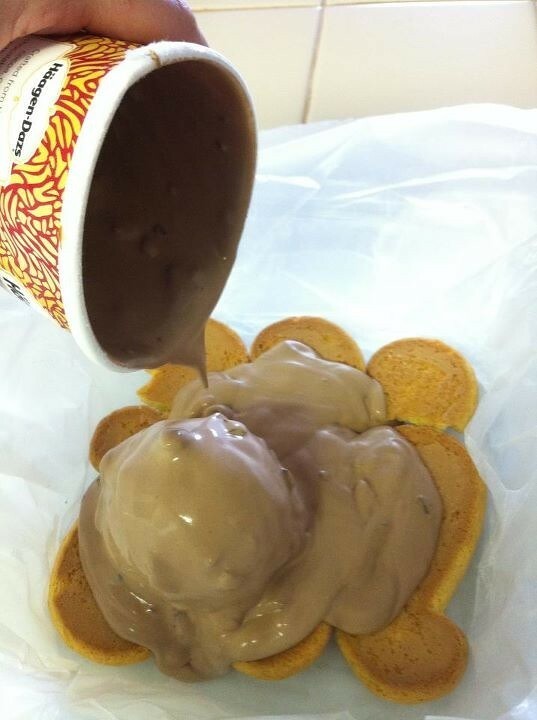 Spread the ice cream over the cookies and top with the remaining cookies, top side up. 5. Place dish in freezer until ice cream sets. 6. Cut into squares, forming ice cream sandwiches. Drizzle with chocolate sauce, fudge, or any sauce of your liking. 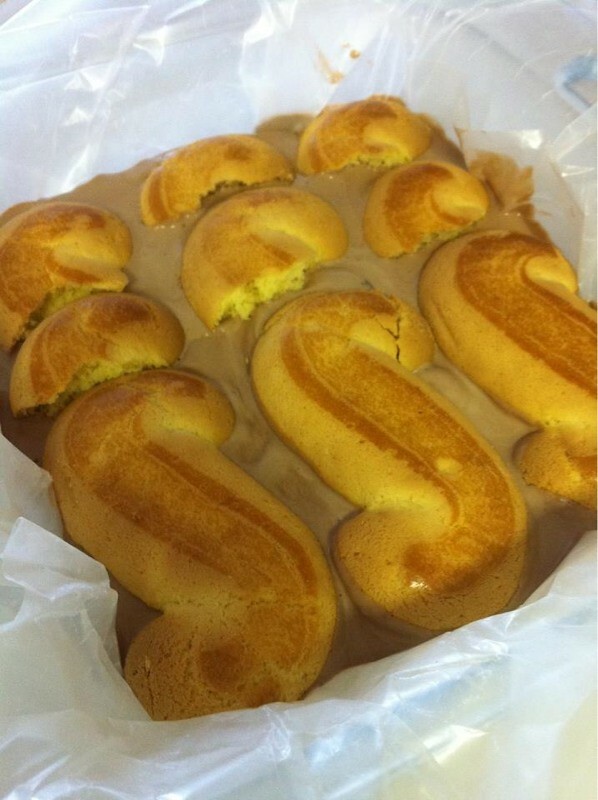 A Cuban recipe for Ice Cream Sandwiches, it seems, can be found here in Recipe #591: Polcas Heladas. Think big - take your favorite cookie and your favorite ice cream. I took Stella D'oro Breakfast Cookies and left a pint of Haagen Dazs on the counter for about half an hour to soften. Then build and freeze until firm. Once you go through this once, you will really think the pairing process through. Think Oreos with cookies and cream ice cream. Think Peppermint Patties with Mint Chip ice cream. Think Nilla Wafers with Toasted Marshmallow ice cream. Think big!